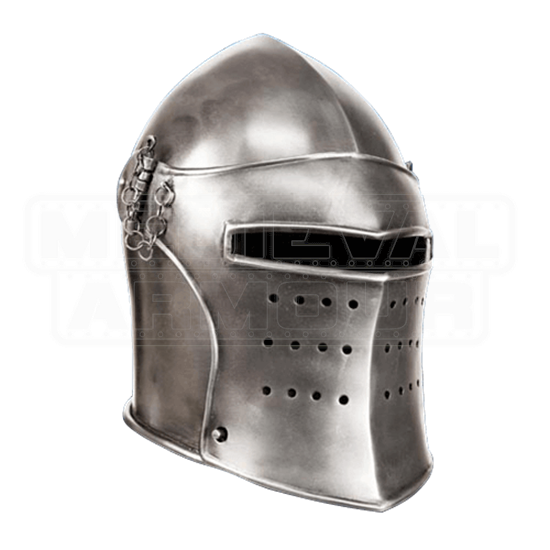 A classic knight helmet replica based on styles from the mid-14th century, the Visor Bascinet will keep your head on your shoulders and get you into the medieval spirit. This transitional helmet offers full face protection with its locking detachable visor, as well as a slit eye hole and circular venting. Lifting two pins easily removes the face plate, turning this helmet into a peaked-front, open-faced bascinet. Constructed from antiqued 18 gauge steel the Visor Bascinet comes complete with an adjustable, black cloth liner. 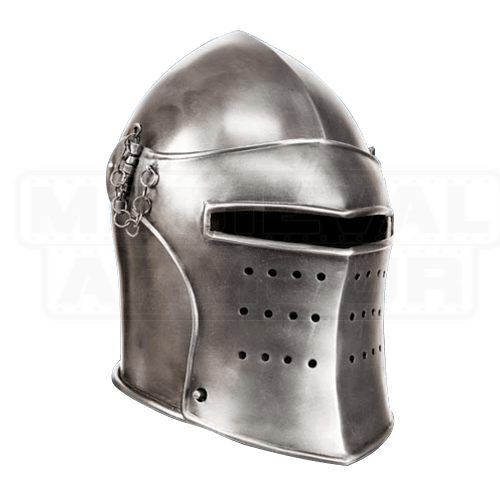 Perfect your knightly ensemble with this historical steel helmet!